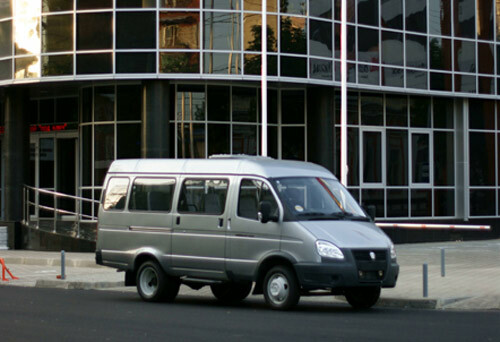 Basic version of Van bodied GAZelle is available in 3 or 7 seats versions. In first case, you have surface of 3 x 2 meters for your cargo, in second case 2 x 2,4 meters! 2705 version is the most often use for distribution of cargo or goods. For this service it is being equipped by leveled-up roof very often. Dual tires at rear axles is thanks to 1350 kg payload standard, however on demand, GAZelle can be equipped with single tires at all wheels. GAZ offers two versions of interior. The basic interior is suitable for the toughest conditions, where beauty is the last merit. This interior is washable by pressure water cleaning machinery. On the other hand modernized interior offers superior materials, nice design and advanced elements of equipment, such as power windows, power heated mirrors or digital air conditioning. Thanks to its variability, GAZelle will suit up to every use, every company, and every person!